In the multicultural sand tray therapy project, I chose to do research on part of my own ancestral history which is the Gullah culture. The Gullah culture is made up of people who are the descendants of African slaves hundreds of years ago. This is a rich, diverse culture that includes descendents from mostly the Western parts of Africa. The symbols that I chose to incorporate in sand tray therapy from this culture include the tree, which symbolizes prosperity, abundance, and appreciation for using the natural talents and gifts God has provided; the grave, which symbolizes the soul going to be with Christ in Heaven while the spirit remains on earth as a guide; and lastly, the rabbit, which symbolizes the famous character used in storytelling, Bre’r Rabbit. In the Gullah culture, and many other cultures as well, animals are used in storytelling not only as a form of entertainment but also to teach lessons as well. The symbols dictionary states that the hare often symbolizes a mythical hero in many cultures; this definitely holds true in the Gullah culture because Bre’r Rabbit can escape practically any dilemma he faces. I chose to take the symbols from this culture and apply them to clients who are dealing with grief in their life. These symbols can be used as inspiration for sand trays that can prove to be therapeutic for clients who have lost a loved one regardless of their age. Additionally, sand tray is an effective tool to utilize during counseling when working with children, adolescents, and adults who are having difficulty expressing their thoughts and feelings verbally. Oftentimes, as humans, we get used to ignoring our deeper issues and become absorbed in the more mundane routines of everyday life. When that happens, we learn how to cope with all of our issues instead of experiencing true healing that will allow us to live a more fulfilling life. 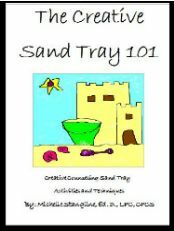 In my own experience with sand tray, it has helped me to identify common themes in my life that I am still currently dealing with but chose not to confront. Sand tray therapy is a way of exploring one’s emotions on as deep a level as needed in order to let out emotions that are buried on the inside. Grief is something that every human being will have to deal with at some point in his/her lifetime. Unfortunately for some, it may happen earlier in life than for others. Regardless of the age, it is a well known fact that there are several stages of the grieving process. 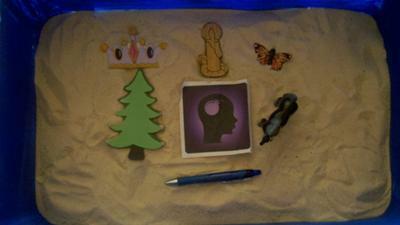 My theory is that by using the sand tray to assist in the stages of grief, clients will be able to connect with their inner souls not to forget their loved one, but to come to a medium in their life where they can experience balance between feelings associated with their loss while still trying to deal with their own lives. When a loved one first dies, family members will undoubtedly go through a period of disbelief, anger, and confusion. Every individual will grieve in a different way; in families it can be a confusing time because one person may not appear to be as affected as another, but just because a person is not putting their emotions on display for others does not mean they are not battling with grief. It is important to understand that there is no time limit on how long the grieving process can last; for some people it may be a year while for someone else, it could be well over ten years, and for others, it could last a lifetime. It is important to note that regardless of the length of time an individual is in the grieving process, there are tools that can be utilized to help them find a place of peace and healing in their lives. Using sand tray with children is an excellent way for them to tap into what they are feeling in a very safe and non-intimidating way. 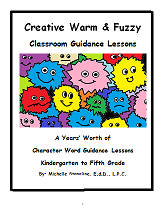 Some children may not only experience difficulty expressing themselves verbally, but some also may begin exhibiting disturbing behavior at school or while participating in extra-curricular activities. Some of these behaviors could include isolation, acting out, hitting others, among a host of other negative behaviors that may manifest. The concept of death and loss can be extremely difficult for anyone to understand, so just imagine how confused children will feel. They may wonder why the person had to die, where they go after they die, and may also wonder how to manage their life without communicating with their loved one on a daily basis. Sand tray will allow the child to explore all of these feelings; the miniatures that the child chooses and the way that they choose to set up their sand tray will speak volumes about where they are in the grieving process. 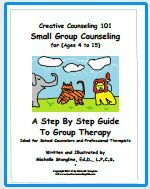 Grief Sand tray therapy can also be very beneficial for adolescents and adults alike. From my own experience, on one end of the spectrum, there are some adolescents and adults who may exhibit certain behavior that may be regarded as reckless, especially if the death was unexpected. They may take on the mindset that it is important to live life to the fullest because you don’t know what tomorrow may bring. For those on the outside looking in, it may appear as if these individuals are not sad at all when, in fact, they are crying out for help and are not sure how to understand with and deal with the stages of grief in a healthy manner. All the way on the other end of the spectrum are those who exhibit symptoms of depression-isolating themselves from other family members and friends as well. Just as with the other individuals we discussed, these people are definitely stuck in their grief and do not know how to let out their emotions in a positive and safe environment that is not harmful to themselves and others. Objective: The purpose of this sand tray is to take clients outside of their grief for a moment and, instead, help them to focus on their own talents and gifts. Grief is an overwhelming emotion that can easily consume the life of any individual. 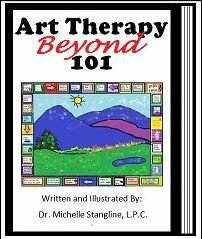 In addition, grief can make a person easily forget that life is worth living; by having the client to focus on their talents can be therapeutic. 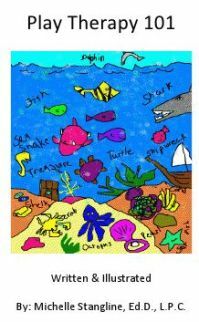 Before working on the sand tray, clients will go on a “nature treasure hunt” to find items from nature to incorporate in their sand tray to help them express what their talents are. Directions: Explain to the client the type of sand tray you would like for them to create. Let them know that there is no right or wrong way to set up their sand tray, but they will use a combination of miniatures and objects that symbolizes their natural gifts and talents. The client can use as many miniatures/objects as they wish; in addition, they can take up as much space in the sand tray that they see fit. Objective: As previously discussed, when people go through the stages of the grief process, it is sometimes very difficult to find someone who is willing to listen or someone who can understand what the bereaved is going through at the time. In times of despair, it will be helpful for the client to consider what tools they have in their lives that can serve as inspiration or that can provide support for their spiritual well-being; after the death of a loved one, clients need to be reminded of what resources they can use in their life for strength. In the Gullah culture, being in tune with one’s spirituality is important; in addition, death is not viewed as a final end of life but it is another step into a deeper realm of spiritual life. 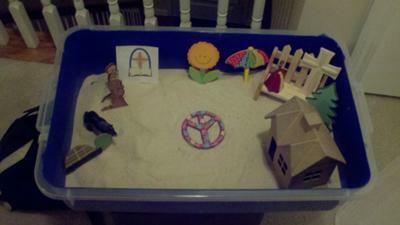 Directions: This is a spiritual/inspirational sand tray that clients will be creating. Clients will need to pick miniatures that represent either a spiritual or inspirational element of their lives that they used to rely on before their loss in order to help them reconnect with these resources. Clients will be able to use any miniatures they want for their tray. Objective: The purpose of this final tray is to have the client to do a deep assessment of what their life used to be like and what it is like now in the present. Some therapists do not like to revisit the past in sand tray therapy, but if a client is coming in for grief counseling, it will be therapeutic to look at what their life was like prior to experiencing the loss of a loved one versus where they are currently in their life. 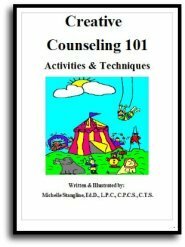 This will break down issues of denial and force the client to be honest with what they are dealing with; in addition, it will open up the door for conversation of what is going on with their life. 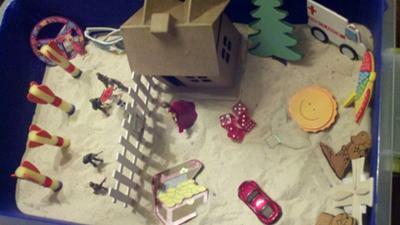 Directions: This is a sand tray that would be completed further along in the counseling process. It is not a good idea to have clients practice a storytelling tray until they have worked through other steps associated with grief. Early in the process, clients may not even be able to think about what lies ahead in the future. The counselor should instruct the client to do their best to tell a story that is truly representative of their present life; on the opposite end of the tray, clients will look to the future and re-write their story by presenting what they hope for in their future.